CEMA, (Conveyor Equipment Manufacturers Association) has released its Application Guide for Unit Handling Conveyors. This is an in-depth guide for design details and application guidance of Unit Handling Conveyors (these conveyors typically mean pallet handling, but also can encompass cartons, totes, monorail, and manufactured items. This application guide was collaborated by conveyor industry leaders. Order yours directly from CEMA for $250 plus ship/handling charges of $15.75 per single copy. CEMA may offer discounts of orders of 20+ books. It’s summer, and it’s hot. No doubt, if you have an air-conditioned facility, your electric bills are headed someplace north of the top of the Eiffel Tower. 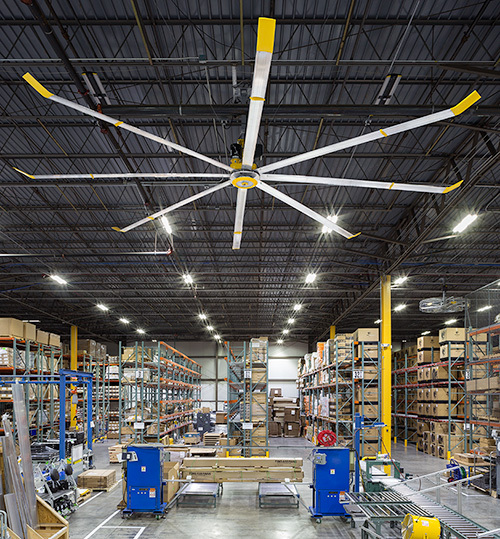 HVLS (high volume, low speed) ceiling-mounted fans can reduce climate control costs, in particular when your facility is already air-conditioned. As part of our goal to provide you with more information and tools about the products we offer, we have added four new online conveyor calculators to the website. 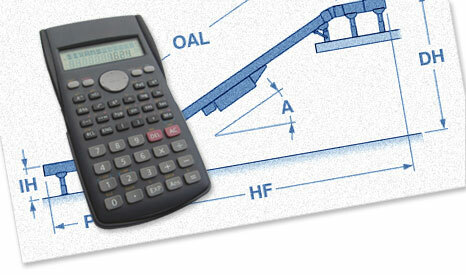 These calculators will help you to find the right conveyor for the job. This is a good visual comparison of how much space is utilized by various storage methods. The vertical carousel provides the same amount of storage space as several rows of shelving or modular drawer storage. In this particular instance, the carousel saves over 1,400 square feet of floor space when compared to shelving. Of course, you know the cost differences are significant, but there are other factors in making a decision about these types of storage equipment.